The northernmost naturally-occuring palm. It is adapted to regimes of frequent burning, re-sprouting from underground rhizomes. Genus of one species of shrubby palm from dry scrub and rocky or sandy slopes in the western Mediterranean region. Evergreen - pinnate leaves in dense tufts or rosettes. 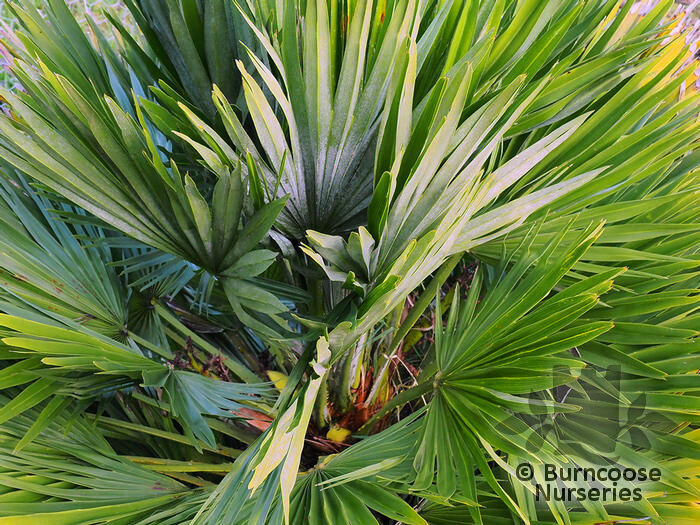 Commonly known as: Dwarf fan palm, Mediterranean fan palm.